Welcome to this month’s Crocodile Mystery. 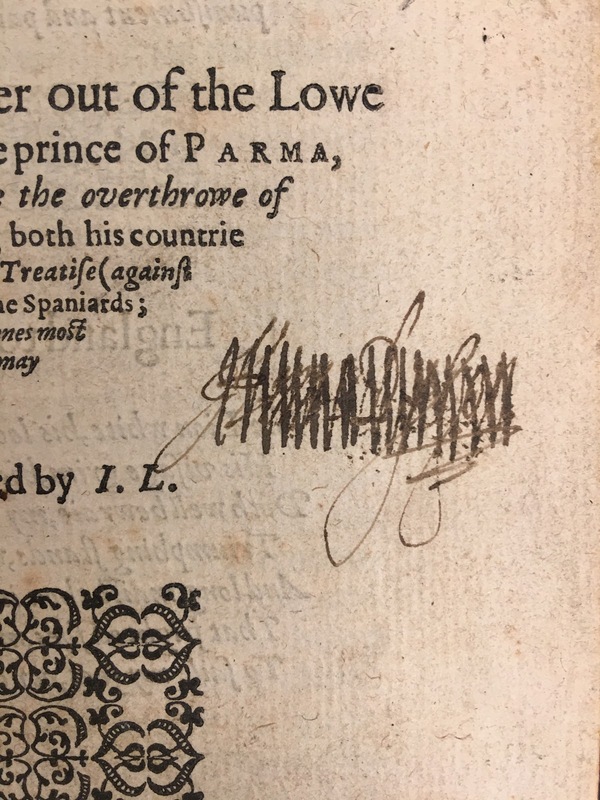 Today, we’re going to ask you to read between the lines, as it were: can you make out the the crossed-out name on this title page? Squint your eyes, tilt your head, and give us your best guess! 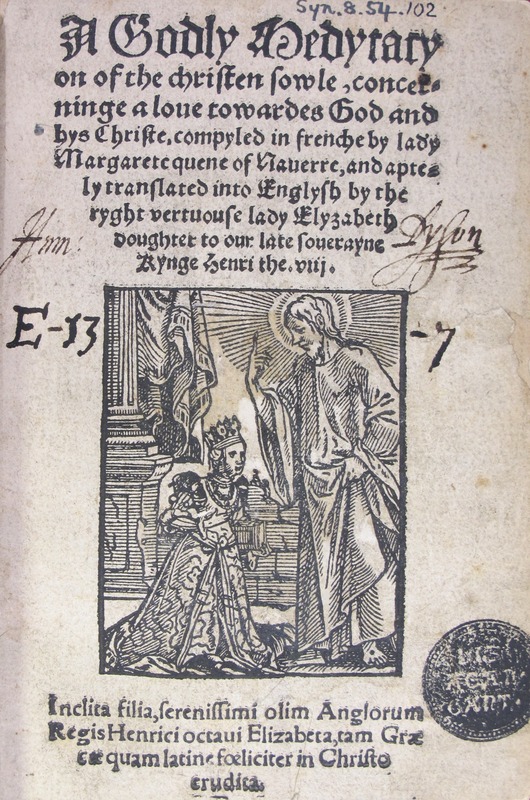 The Collation is the author used for "crocodile mystery" posts, Q&As with Folger staff, and other general posts. Is there any digital tool that allows you to eliminate what has been written over? You all are too good! Yes, it is Humphrey Dyson. More to follow next week.